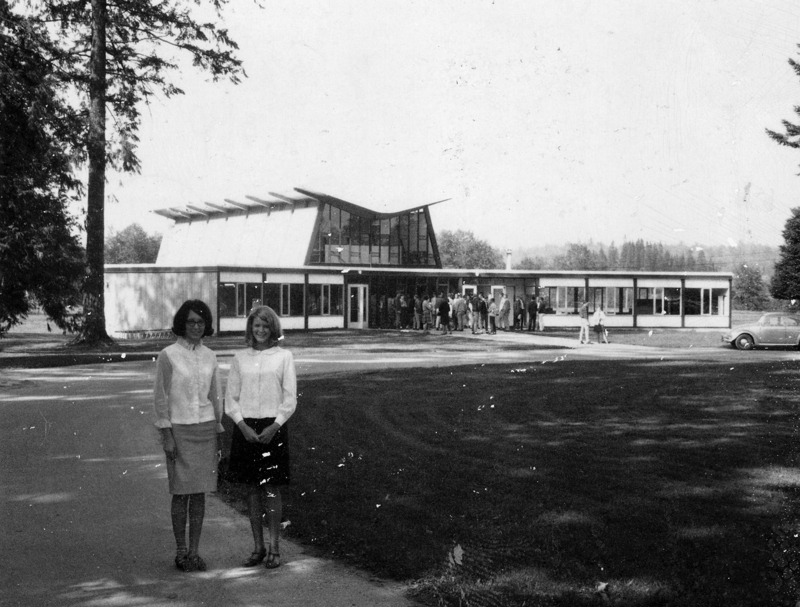 In 1962, when the then-Trinity Junior College consisted of little more than a barn and a few outbuildings, a distinctive structure arose at the heart of campus. 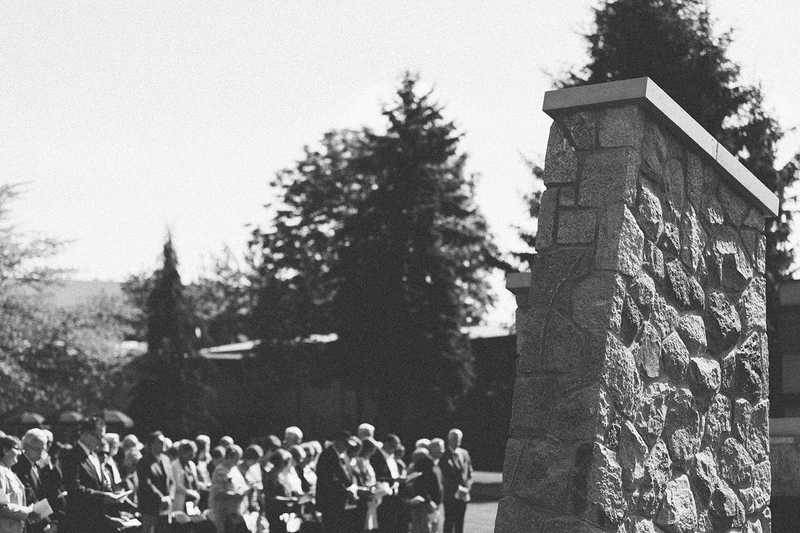 Its unique inverted roof was designed to reflect arms outstretched to receive from the Lord and give back to Him. 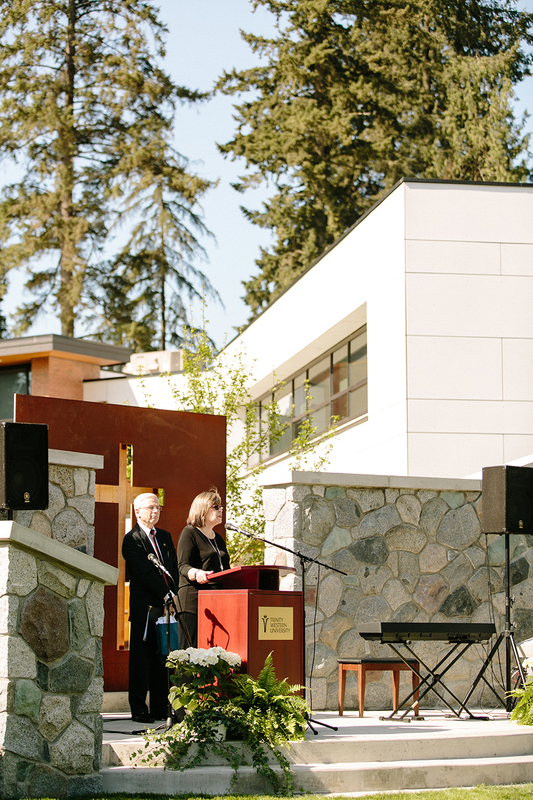 As the first building constructed on the new campus—the ancestral home of the Sto:lo people—the Chapel served not only as a place to gather in worship but also as a tangible reminder that the school was more than just a liberal arts institution. 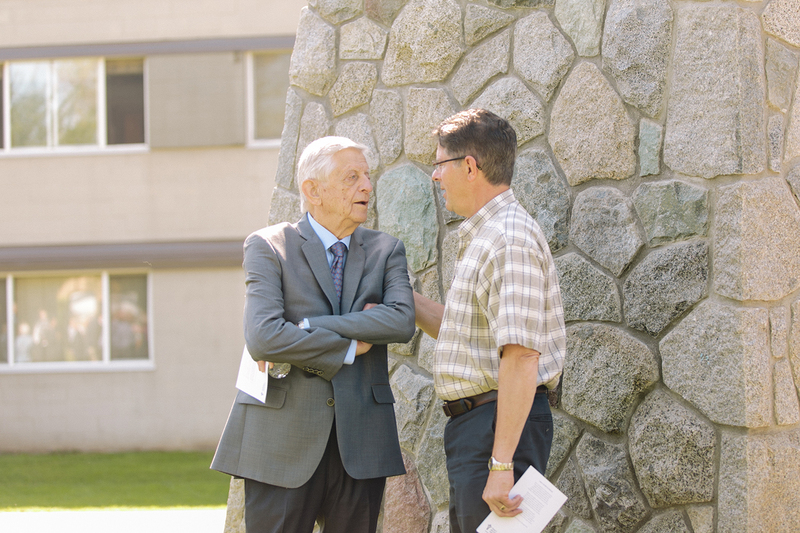 It was a place where the teaching of the arts and sciences would be nourished and inspired by biblical insight and a Christian world view. 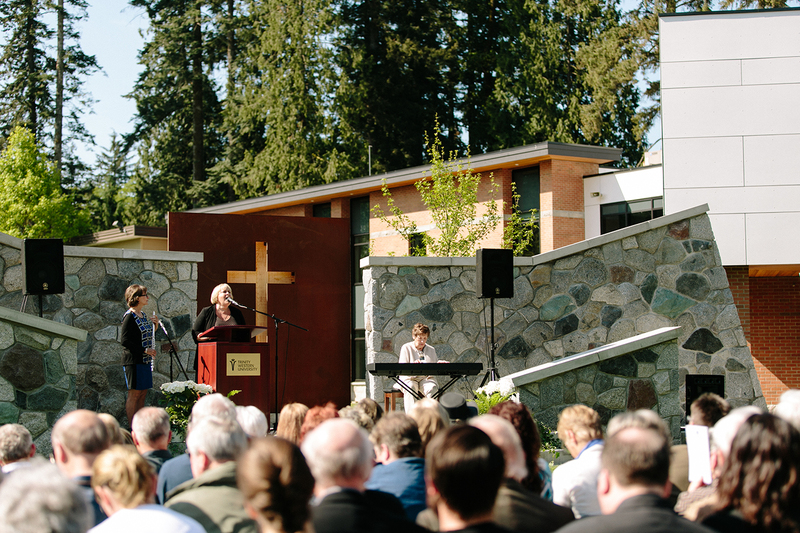 For the first two years, the Chapel also served as a classroom, the library, and a space where students could come for moments of quiet reflection and prayer. 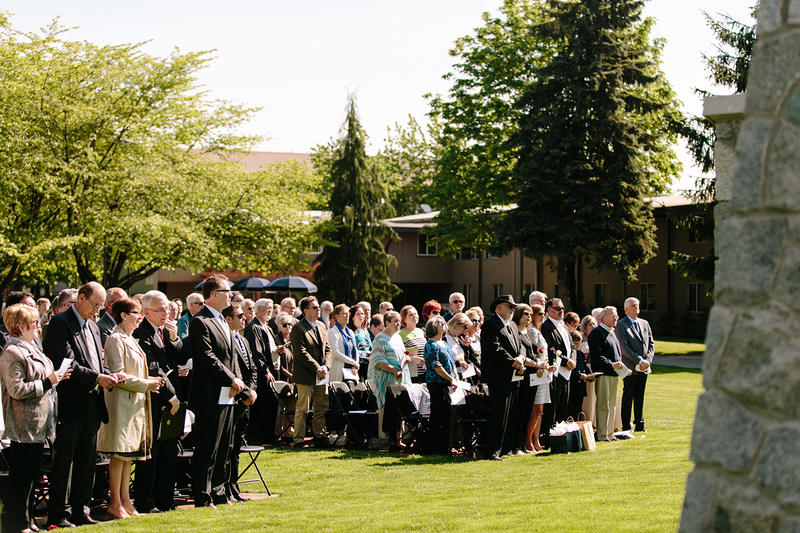 Daily chapel services—often led by founding President Calvin B. Hanson—drew students, faculty, and staff together in worship and praise. 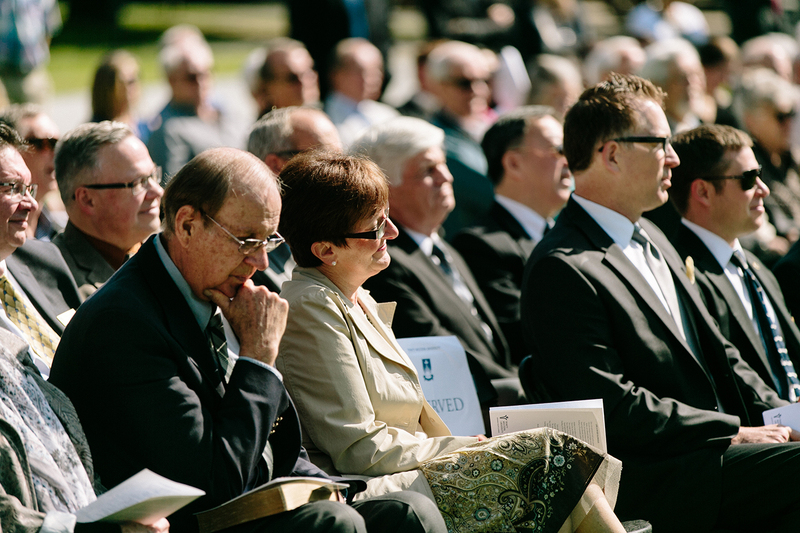 As the student body grew, so did the Chapel’s significance. 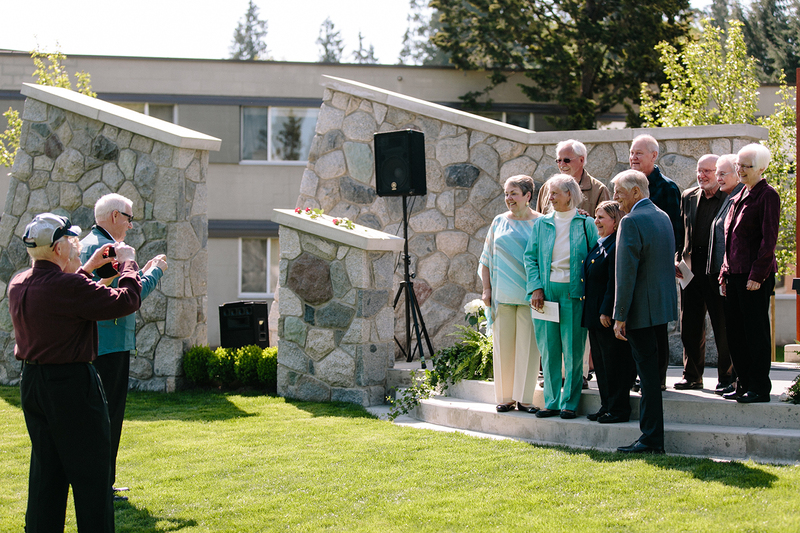 It became a backdrop for choir practices and concerts—a place where young couples met and some later married. 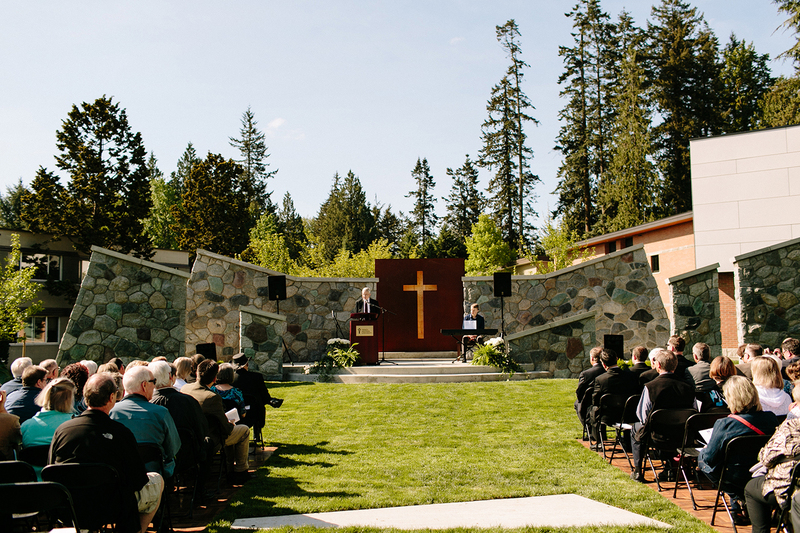 It was while leaning forward over the pulpit, framed by the Chapel’s fieldstone wall, that President Hanson often repeated his challenge: “Don’t doubt in the dark what God told you in the light,” and, “If Jesus Christ is Lord, nothing is secular.” Many students held—and still hold—these words in their hearts. 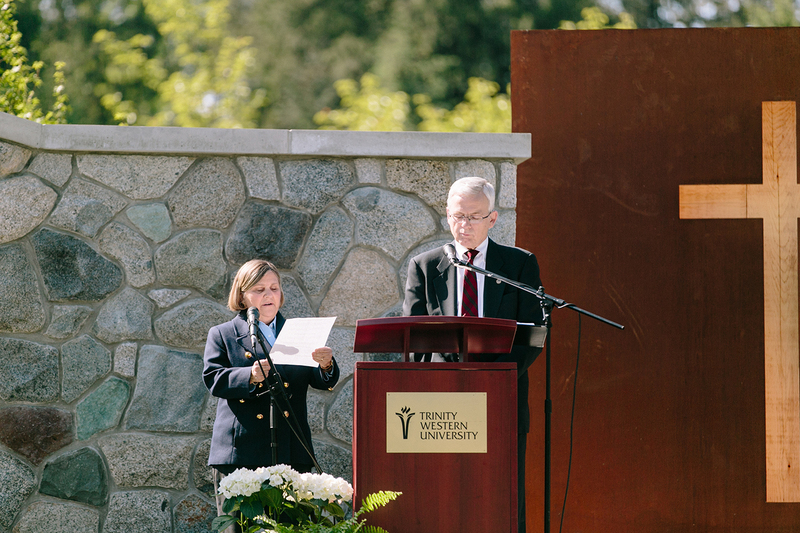 In 1980, the Chapel was named the Calvin B. Hanson Chapel, in recognition of President Hanson’s spirit of optimism and his undaunted leadership in the development of Trinity Western. 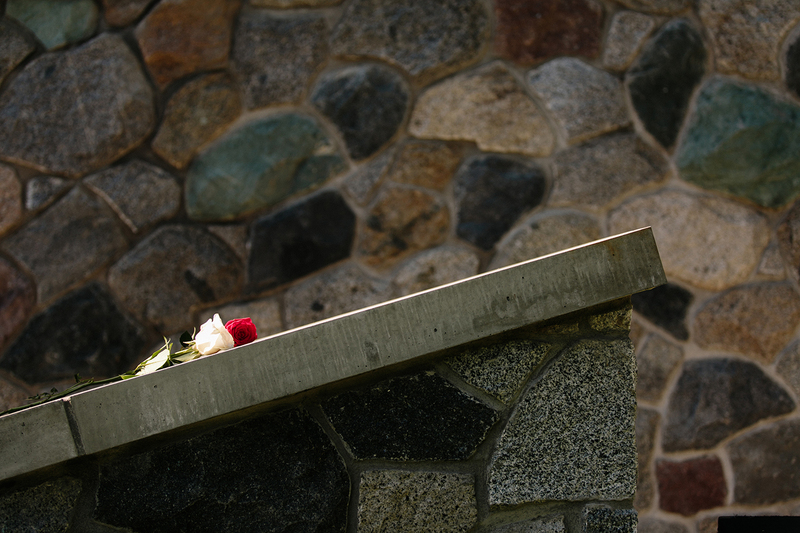 His life shaped the convictions and perspective of thousands of students and faculty. 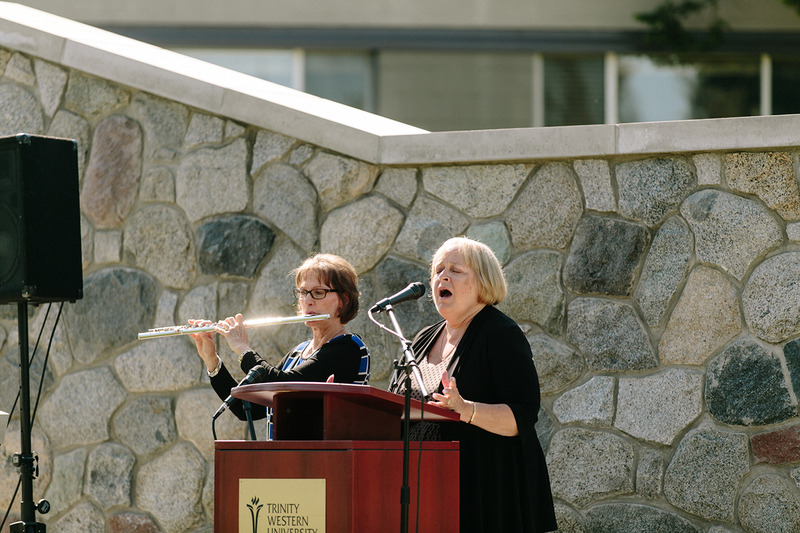 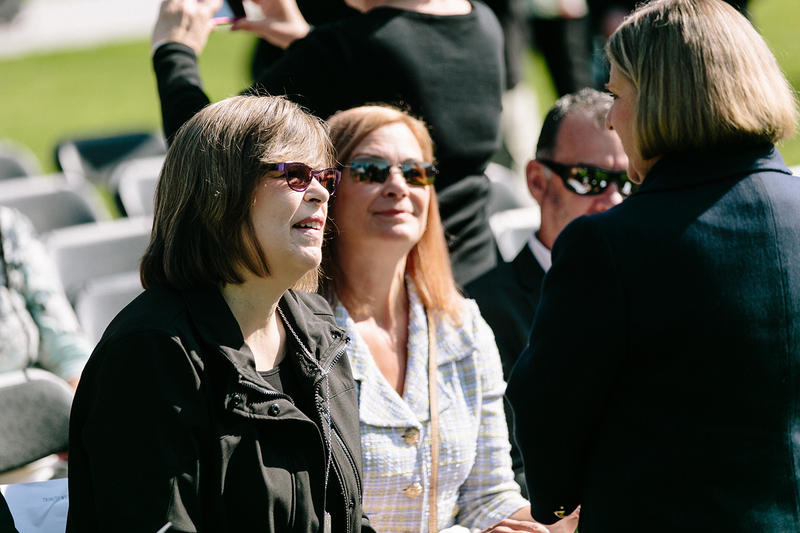 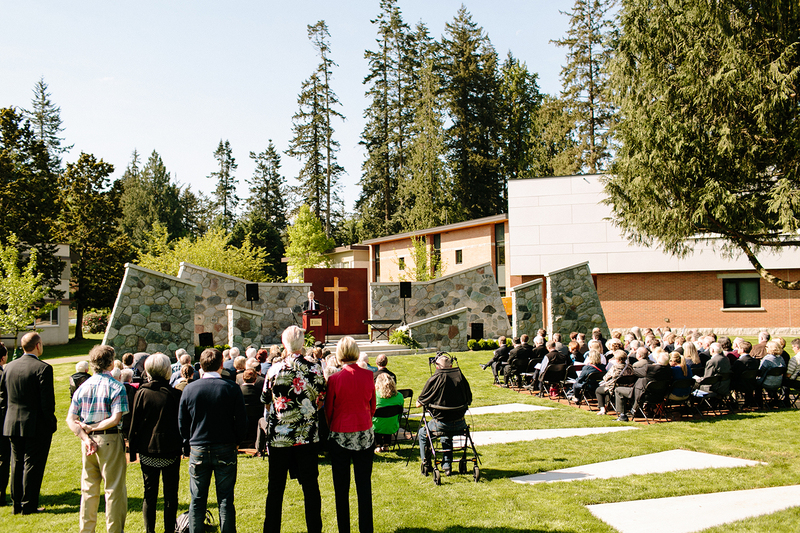 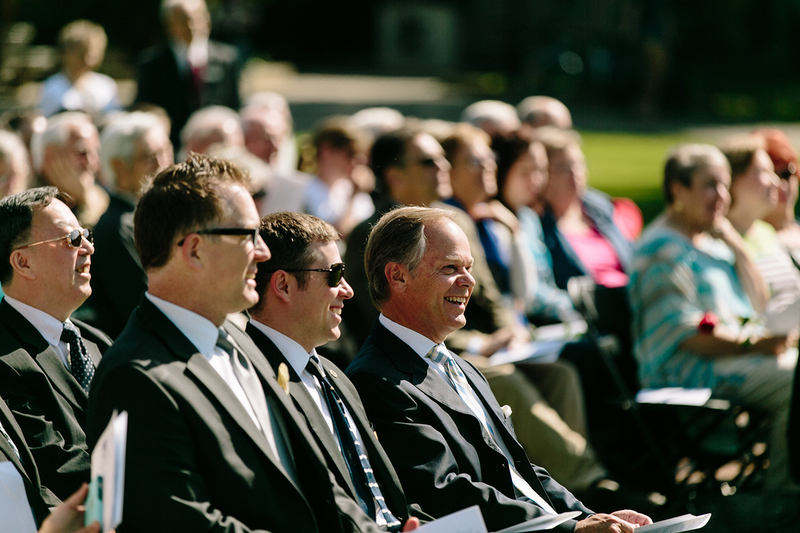 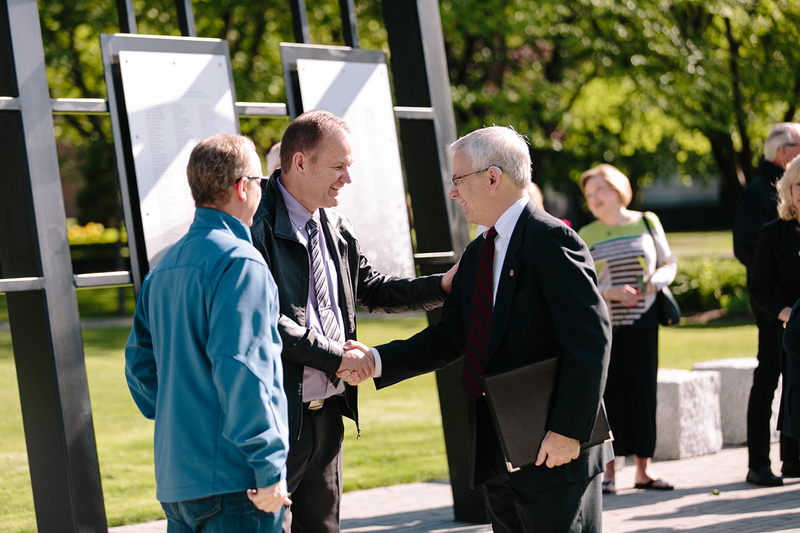 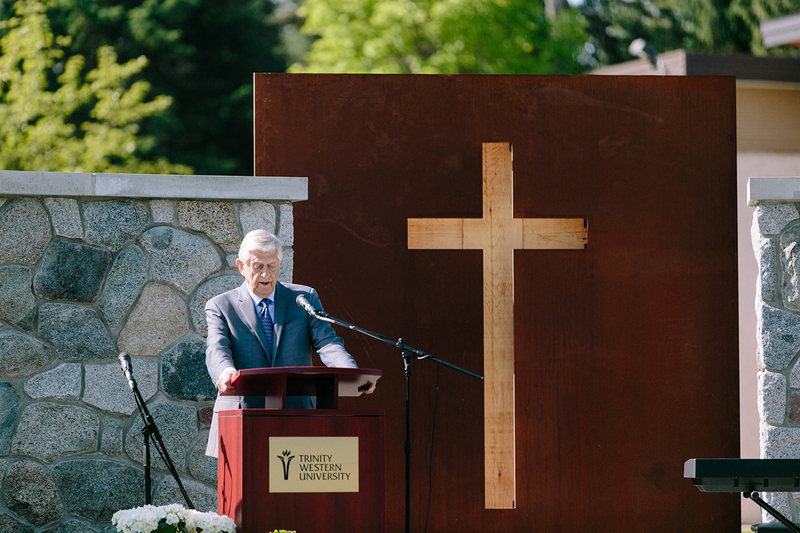 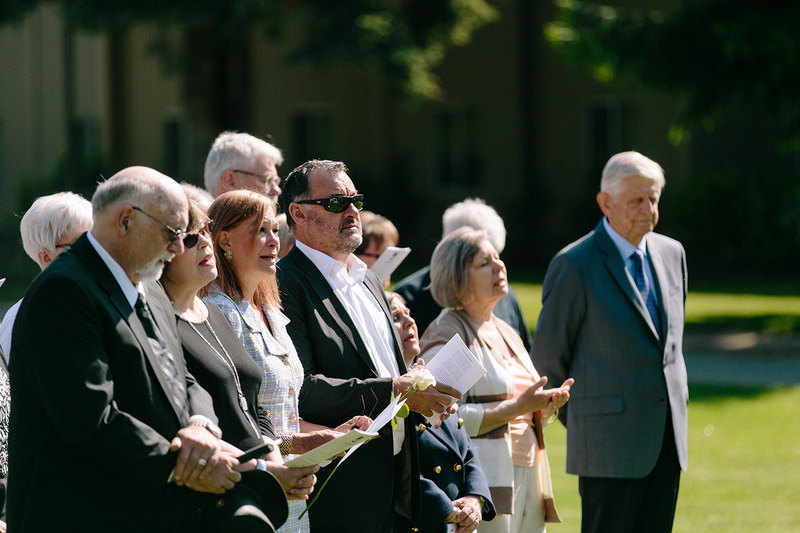 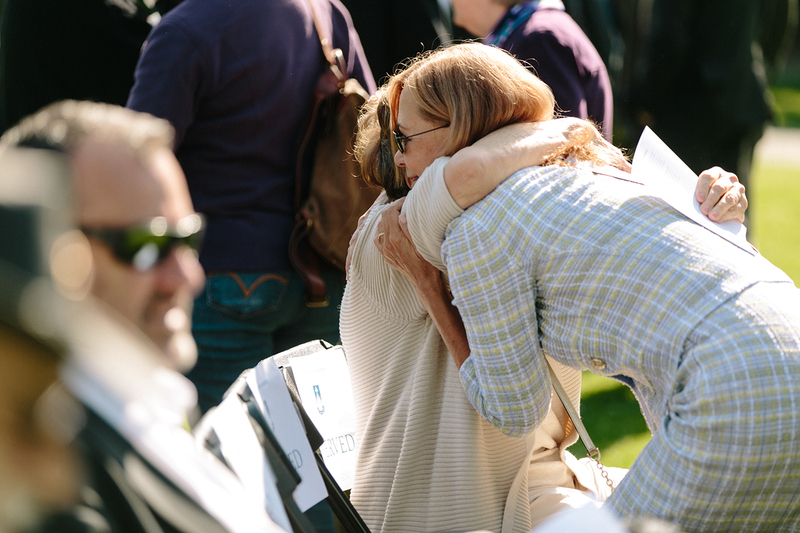 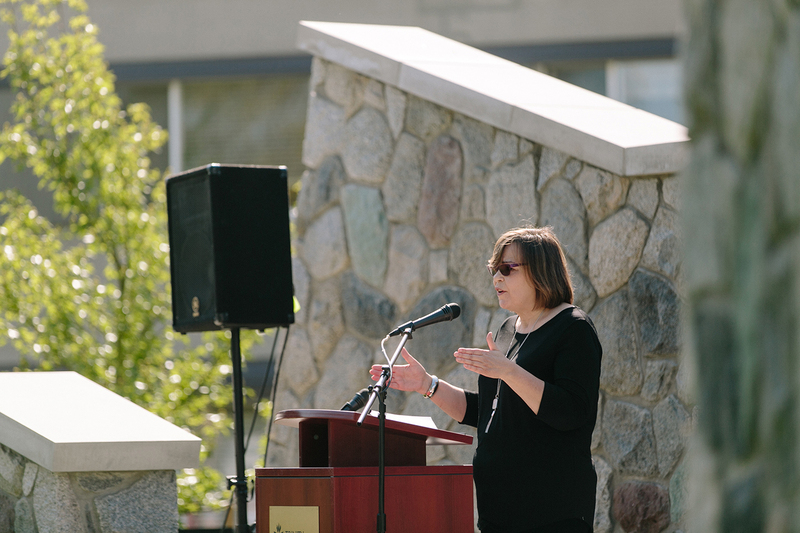 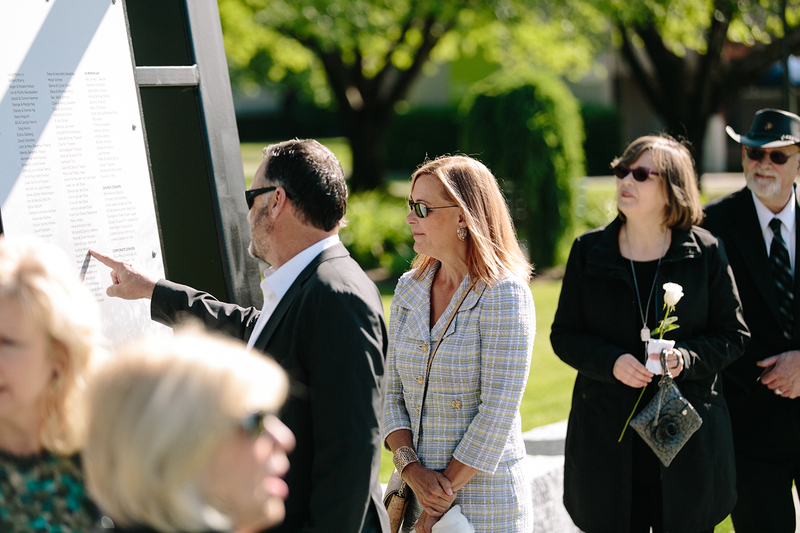 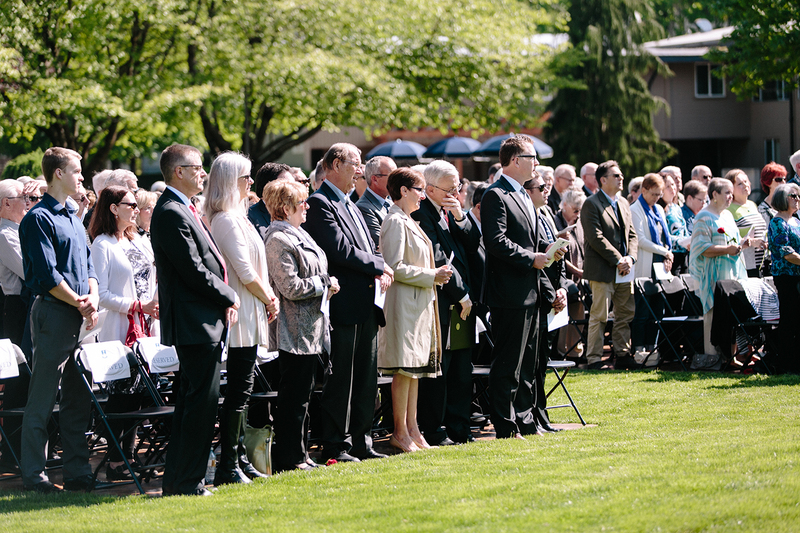 After the Chapel was torn down in 2011, many generous alumni and friends championed the construction of a new heart for the Trinity Western University campus. 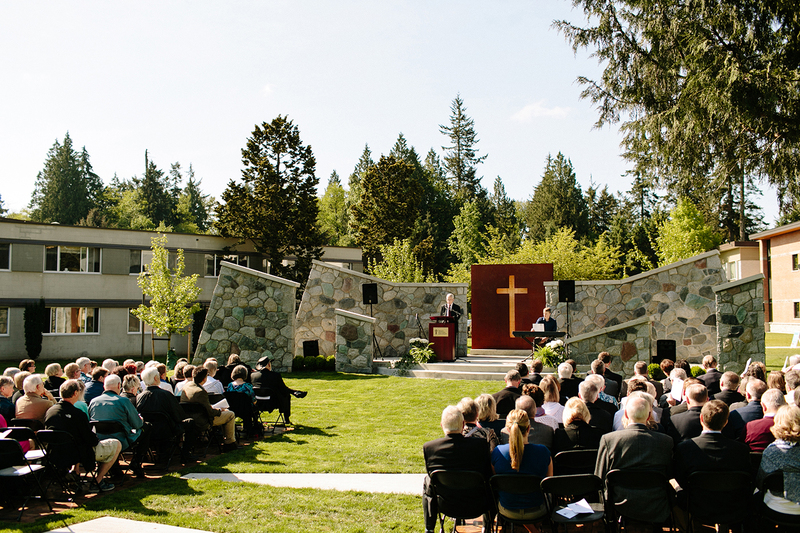 With the incorporation of the stones from the original fieldstone wall, the echoes of the inverted roof, and the first cross on public display, the new Hanson Garden Chapel will serve as a reminder of the foundation on which twu has been built—and on which it will continue to grow and flourish. 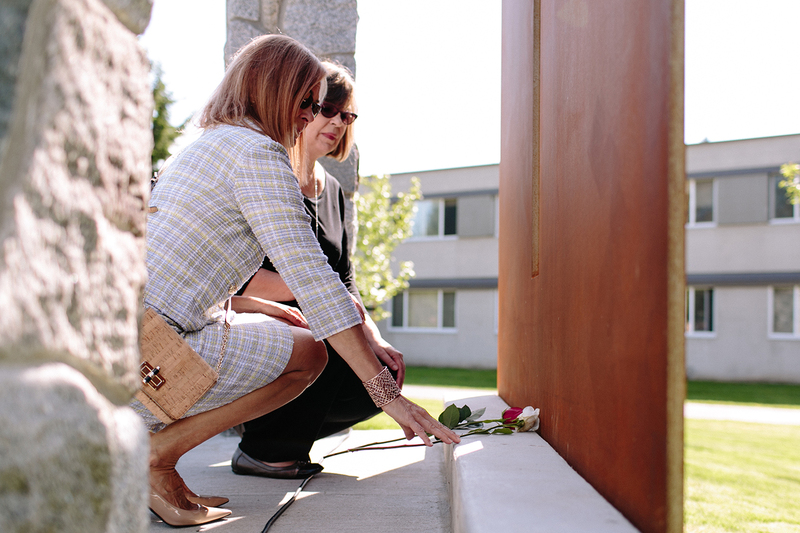 The stone walls are no longer silent. 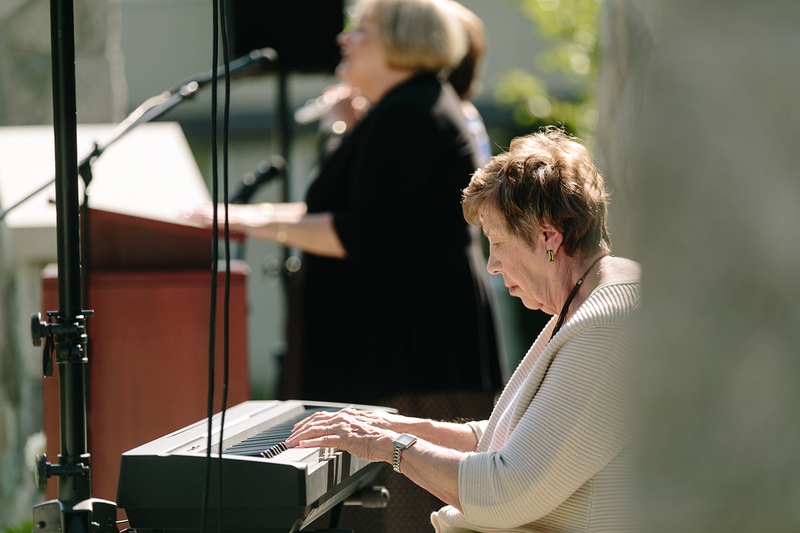 They sing again. 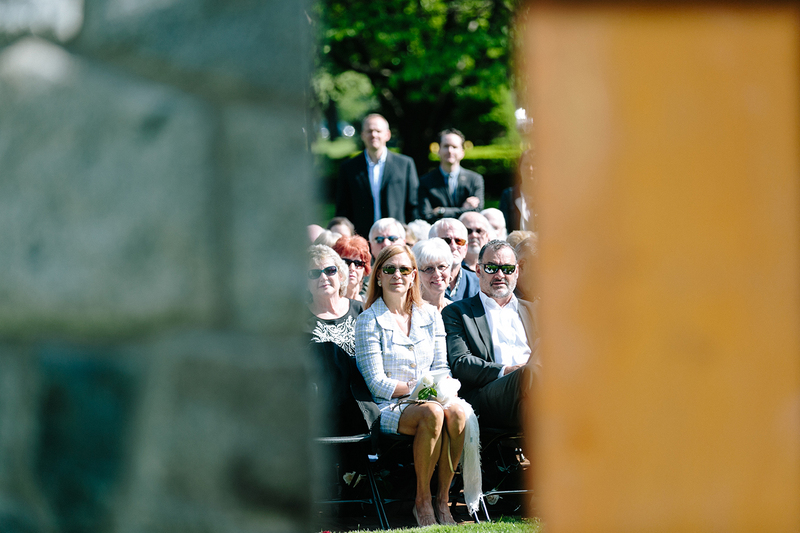 We are deeply grateful to those whose support made this Hanson Garden Chapel a reality—and look forward to celebrating future weddings and events in this special space.